Installing Infinite-R™ on the underside of rafters is an “all-weather” strategy that is a fantastic solution for any climate. 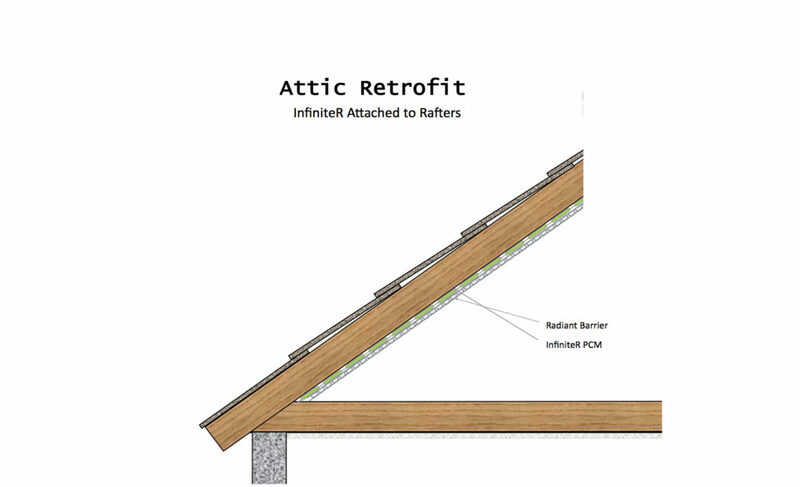 When installed within an attic system, Infinite-R™ may act as a venting strategy to help better transfer of air coming in from eaves and escaping up through ridge vents for cooling of shingle roofs. In winter months, Infinite-R™ can store heat gain from the building below, to enhance comfort and energy savings by the stack effect of driving heat build-up back down into the occupied spaces. 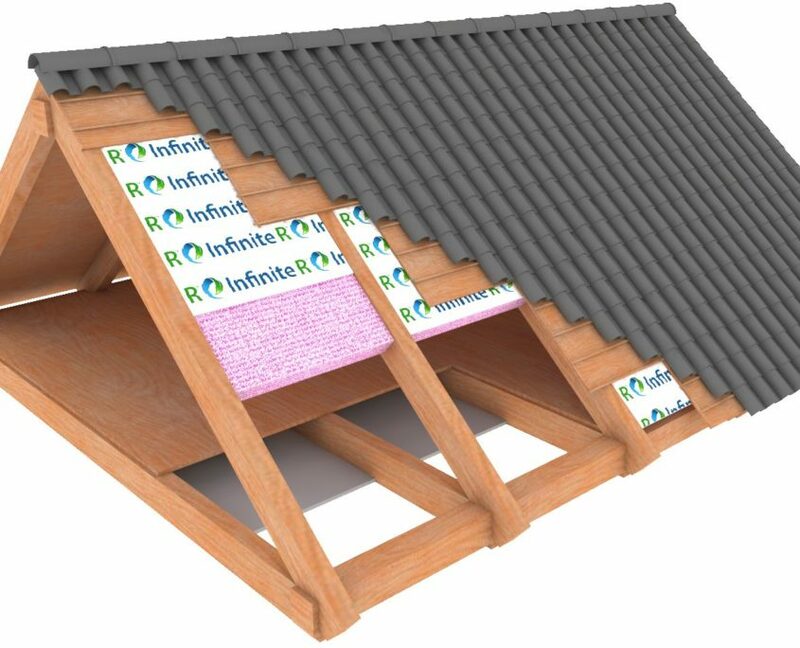 In summer months, Infinite-R™ can work as a thermal storage barrier to stop heat buildup in attics and occupied spaces below rafter systems. This diminishes the need for air conditioning on even the harshest summer days. The use of strategically placed radiant insulation barrier (bubble wrap insulation) can control issues related to high heat gains in summer months to help slow phase change material transition, and aid in better temperature management for the spaces below.